Paris to the Past - Description | W. W. Norton & Company Ltd. 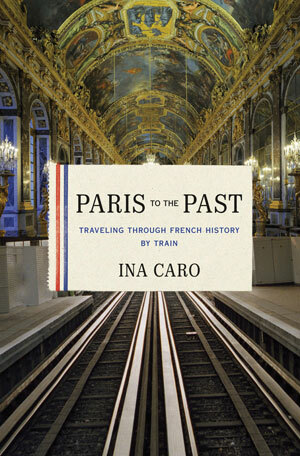 In one of the most inventive travel books in years, Ina Caro invites readers on twenty-five one-day train trips that depart from Paris and transport us back through seven hundred years of French history. Whether taking us to Orléans to evoke the miraculous visions of Joan of Arc, to Versailles to experience the flamboyant achievements of Louis XIV, or to the Place de la Concorde to witness the beheading of Marie Antoinette, Caro animates history with her lush descriptions of architectural splendors and tales of court intrigue. Organizing her destinations chronologically from twelfth-century Saint-Denis to the nineteenth-century Restoration at Chantilly, Caro appeals not only to the casual tourist aboard the Metro or the TGV but also to the armchair reader of Peter Mayle's A Year in Provence. Caro's passion for and knowledge of France—its soaring cathedrals, enthralling history, and sumptuous cuisine—are so impressive that Paris to the Past promises to become one of the classic guidebooks of our time.